Pavane, Op. 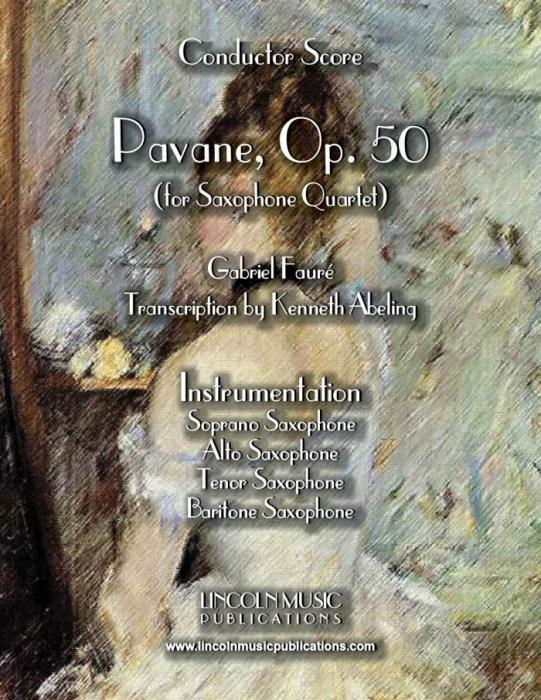 50 by Gabriel Fauré for Saxophone Quartet. This beautiful work from the Impressionistic period ebbs and flows through a series of harmonic and melodic climaxes, conjuring a cool, somewhat haunting elegance. It is suitable for a variety of performance applications and is of Advanced Intermediate to Easy Advanced level difficulty.